These are things I made and sell on the Unreal Engine Marketplace. 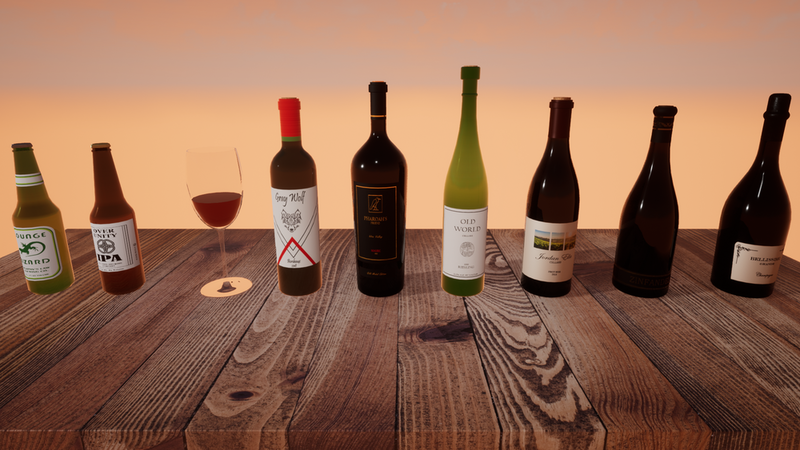 This is a collection of beer and wine bottles for use in Unreal Engine. The set contains diffuse, specular, roughness and other maps. Contains custom collision as well as custom LOD’s. Ceiling Fans Pack - Now available! A collection of 10 animated and fully adjustable ceiling fans for arch viz or game projects. Low poly, drag and drop functionality. Each fan allows you to choose between 3 and 5 blades, adjust the downrod length, adjust the fan diameter, and reverse the fan spin direction and blade angle. Has toggle for light on/off too. All custom blueprints and models and textures made by me.